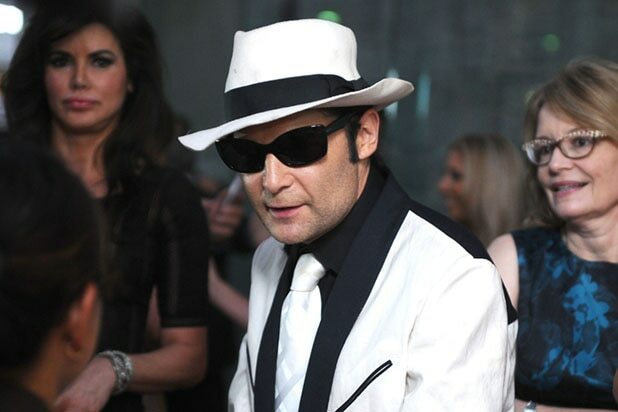 At the ripe old age of 46, actor Corey Feldman is receiving his first Lifetime Achievement Award. The child star of iconic films like “Stand by Me,” “The Goonies” and “The Lost Boys” will accept the top prize at the third annual Young Entertainer Awards this April, the group announced on Wednesday. Feldman is certainly emblematic of a Hollywood child star, and the organization has a noble cause to assist and encourage physically or financially disadvantaged young performers. In addition to Feldman, the ceremony will honor 13-year-old Anthony Gonzalez, the voice of Miguel in Pixar’s Oscar-winning “Coco.” He’ll receive the first-ever Breakout Young Entertainer of the Year Award at this year’s ceremony and perform with his family’s mariachi band. Awards will also be given in categories for performance in film, TV, voice-over and directing when they’re handed out at L.A.’s Universal Studios. Learn more about the group here. When last we heard from him, Feldman had launched two Indiegogo campaigns that sought to finance two films — one uncovering pedophilia in Hollywood, and a separate project about his life story in which he indicated he would identify his own abusers who targeted him as a minor.